The white space was nearly completely covered, I finally picked a time to stop!! 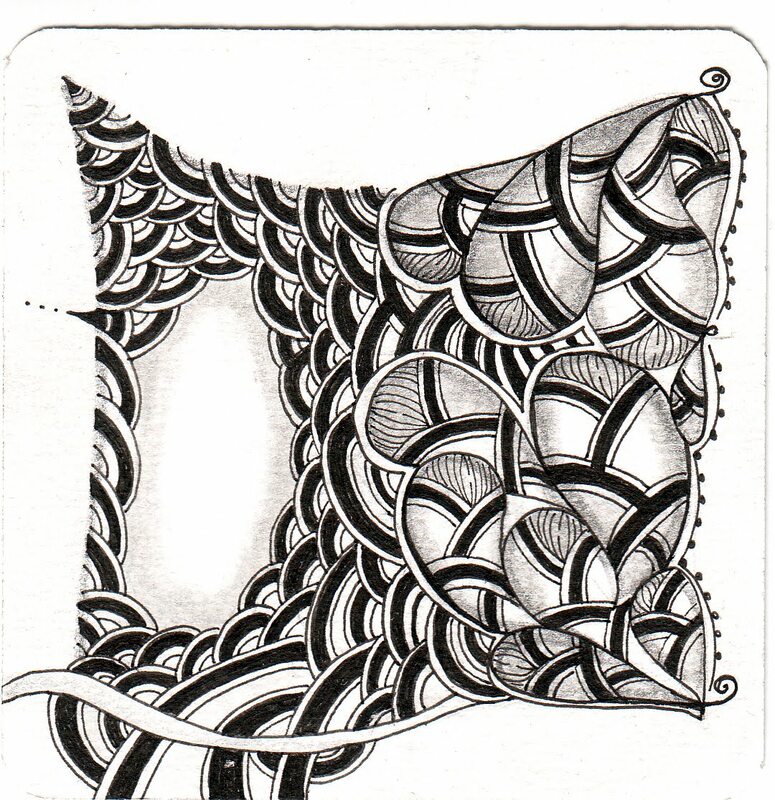 Masterful use of one tangle with variations to create a whole composition. This just draws you in. Love it! Beautiful. I love the repetition of design and shapes. Been catching up on your posts - each zentangle is so different and amazing!! Love this!!! 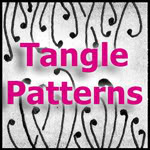 A great 'mono-tangle' with beautiful shading… You know, intense shadings are turning me on ;-) . 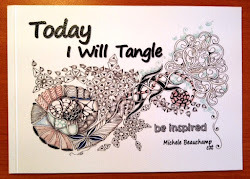 It's hard to stop when I'm doing that tangle! Beautiful!